Say hello to red-hot locks! 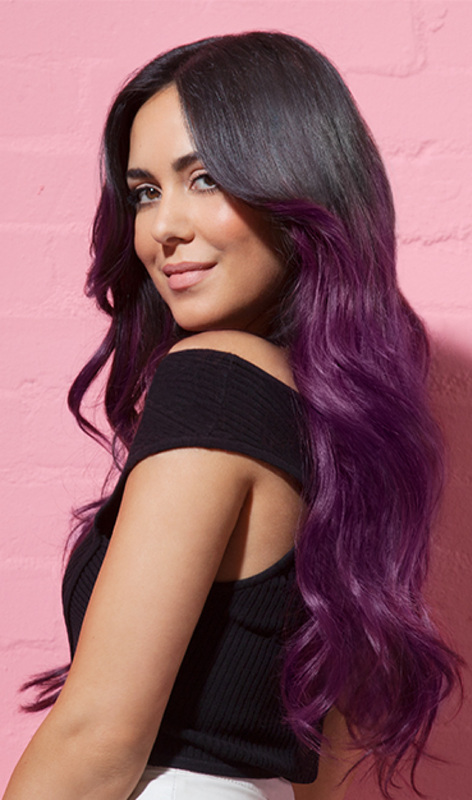 Go intense with a fiery red hue, or create a custom pastel look by mixing with the in-pack conditioner! Response from Schwarzkopf LIVE: Loving the red look Marie, thanks for taking the time to review! I love this shade and all of the XXL shades because they are so vibrant with very little fade. They are easy to apply and smell absolutely gorgeous. I like using loads of the XXL colours especially red, pink and purple to create a multi tonal look. Response from Schwarzkopf LIVE: Stunning shade, Rachel - thanks a bunch for the feedback! Response from Schwarzkopf LIVE: Hi Abbey, thanks for the review! Our permanent LIVE Scandalous Scarlet shade is similar in tone but is designed for natural, light blonde hair so you may not achieve the right results if your hair is outside of this range currently. If you'd like advice about improving the longevity of colour vibrance, do give our Schwarzkopf Advisory team a call on 0800 328 9214 and they'll be happy to help. Thank you. Since watching P!nk in her video u & ur hand as a young teen i've always wanted to go red but many people said it wouldn't work with my skin tone or suit me. So I reached 25 and was blonde again and thought stuff what everyone else thinks! My first time out of salon experience, and with my mums reluctant help I couldn't be more happy! I think it rocks! It's taken really well on my bright blonde hair and my dark roots look awesome with it! So happy! Worst product ever! I have used this hair dye in the past and it worked wonders it was incredible. I re- bought again a few days ago and it did nothing to my hair, literally nothing. I'm so disappointed because last time I had a vivid red colour and this time it had no effect on my hair at all except for a slight red tint that ended up washing out on the first wash. Response from Schwarzkopf LIVE: Thanks very much for the review, Michelle! Very bright and loved it. Never have a problem with live colours anyway. Response from Schwarzkopf LIVE: Hi Krista, we're sorry to hear that. It sounds like the colour didn't fully take this time round, which can be caused by a few different factors such as porous hair or styling product build-up. We'd recommend using a deep cleansing shampoo 48 hours before colouring to combat this, if you'd like some more advice on this do contact our Schwarzkopf Advisory Service on Freephone 0800 328 9214. Thanks. AMAZING ......Been using this range for a while but not this colour ..So easy to use...you wont be dissapointed so shiny !! Response from Schwarzkopf LIVE: Lovely to hear that, Kerri - thanks for your review! I love this stuff i brought the 8 washes hair dye in the pillar box red to liven up my hair from previously being red and it turned out more viberant than i expected. Loving it again. Thank you. Response from Schwarzkopf LIVE: Brilliant to hear, Miranda - thanks for the review! I love this colour I wish you would make more semi permanent reds I have tried loads of reds I love this colour it's the best I will gladly use it aging but please add more semi permanent red. Response from Schwarzkopf LIVE: Thanks for your review, James! We'll definitely pass your feedback onto the relevant team. I absolutely LOVE my new colour! It's given me so much confidence! I'm 44 and have been various shades of brunette and blonde all my life - this is the first time I've dared to go red and the results are beyond my wildest dreams! I will be going red permanently when this fades. Thank you! Response from Schwarzkopf LIVE: Thanks so much for the review, Julie! Amazing how this shade made me look unique in my town. It now is my trademark. Great job on your awesome dyes! Response from Schwarzkopf LIVE: Thanks very much for the review, Evie! I've been using this shade for ages, it was the first brand/shade I tried, and it's great, so why change? This photo is a few years old, but I love how vibrant it comes out each time, and that it sticks longer and longer with each refresh. I'm now looking for a permanent version, does anyone know which of the permanent LIVE reds is closest in colour/brightest? Response from Schwarzkopf LIVE: Great to hear that Laura, thanks a lot for the review! Scandalous Scarlet is the closest permanent LIVE shade - if you'd like any tips or advice, do give our Advisory team a quick ring on 0800 328 9214 and an advisor will be happy to help! Absolutely love this colour, I had dark brown hair but the results were amazing and vibrant. The only thing is ive had it this colour a while now and cant seem to get it to fade! I'd like to go a pastel lilac/ grey for over Christmas but obviously cant do that until most of the red is gone.. help please?! Response from Schwarzkopf LIVE: Hey Lauren, thanks so much for the review! You're right about the transition in that you'll need to have grown out or removed the red before trying to get to a lilac/grey. For the best advice on how to do this, please give our Advisory team a call on 0800 328 9214 and one of our advisors will be happy to talk you through the steps! Absolutely love this colour! Only thing is it fades real fast, but even then it looks super cute as it fades to pink! Response from Schwarzkopf LIVE: Great to hear the lovely feedback, Shannon - thanks a bunch! Response from Schwarzkopf LIVE: Hey Rachel, fantastic to hear you're an Ultra Brights fan! Thanks a lot for the review!